Sounds like a familiar gossip theme among the Indian and Pakistani communities, amirite? Blaming the woman for her husband’s mistakes is an unspoken, yet familiar rule in a South Asian marriage—a contract leased once the pheres/laavans are finished. It is not often contested—rather it is accepted with a heavy heart as a wifely duty and responsibility. 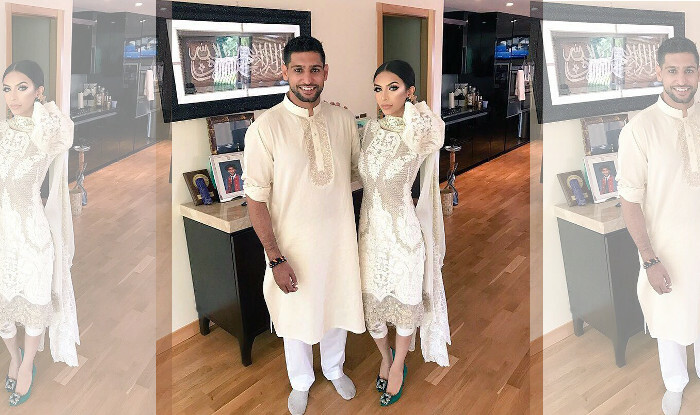 However, the recent events between boxer Amir Khan and his wife Faryal Makhdoom have shoved this obligation into the spotlight, causing society to confront a very ugly truth. August 4th came like any other day and I went about the usual routine of checking my social media. On Twitter, a bitter feud was in the works, brought on by two people who were no strangers to the limelight. Khan had taken to the social media platform to announce his split from his wife and native New Yorker, Makhdoom. So me and the wife Faryal have agreed to split. I’m currently in Dubai. Wish her all the best. Khan came into the limelight after winning a silver medal for boxing in the 2004 Summer Olympic games at the young age of 17 as the only representative for Britain in the sport. His career wins and various famed matches continued to gain his name in the Asian community. Meanwhile across the ocean, Makhdoom worked on her double major in political science and journalism at Rutgers University, residing with her parents in Brooklyn. His courtship, through a mutual friend at Faryal’s University, and later marriage was highly publicized, with their wedding photos splashing across numerous British and international magazines. Many believed that their match would be the stuff of fairytales. But after announcing their split, Khan in a series of tweets proceeded to accuse his wife of infidelity with another boxer, Joshua as well as calling her a “gold digger.”Makhdoom tweeted back claiming that she had no involvement whatsoever, and it had been Khan who had been the one with the wandering eye. The claims shocked everyone, and various news agencies were quick to speculate as to why things had suddenly turned so sour. Meanwhile, Makhdoom took to Snapchat to claim that both her and husband’s phones had been hacked, in what would later be known as a bid to save her and Khan’s marriage for their daughter Lamaisah. However, Khan retaliated with a video posted to Instagram, claiming that their phones had not been hacked and that the rumours were true. The once in love couple were now going to divorce. What followed afterward felt like a domino effect — videos of Khan partying with models in Dubai, more of the private messages he sent to various girls being released, Makhdoom’s attempt at reconciling, and finally her announcement of a second pregnancy. In December 2016, Makhdoom had hinted that she was involved in a bitter feud between herself and her in-laws, where she accused them of physically and mentally abusing her, and in January 2017, a video surfaced of a newly married Khan pleasuring himself while on Skype with another female. The cracks had shown long before, but the dagger had only just hit home. This is not completely unheard of within the South Asian community. A poll conducted by Desiblitz on one of their articles revealed that 73 percent of the women polled faced emotional and physical abuse at the hands of their husbands and in-laws. Statistics on the Women’s Aid website also reveal an alarming number—last year an estimated 1.3 million women in the UK experienced some form of domestic abuse in the last year. While being a celebrity has allowed Makhdoom to have a considerable backing during the current divorce proceedings, there are many women who receive little to no support at all. If a man wants to leave his wife, often the blame goes to the woman for causing her husband to stray. Whether it’s not cooking enough, not showing enough attention or not fulfilling his intimate needs, the blame game almost always falls on her. For Makhdoom, her “lack” of appropriate dressing and accusations of relying on her husband’s fight money to support her lavish lifestyle, are common comments that people whisper behind closed doors. Whether or not this is true, she, amongst others, is forced to be the scapegoat. Can a South Asian woman ever be free of the blame even if it’s her husband’s fault? It is an age-old tradition to accept the mistakes that will ultimately rest on our heads because it is still often assumed that we become our husband’s keepers. We, as South Asian women become responsible not only for the upkeep of the household but for the potential downfalls as well. Fortunately, I have also heard of positive stories of in-laws of taking care of the daughter-in-law as their own daughter after the transgressions of their son is revealed, even going so far as to help her get back on her feet and provide support for her long after. So, one can only assume that there is still hope for our community. But the road is long, and there are still many obstacles. 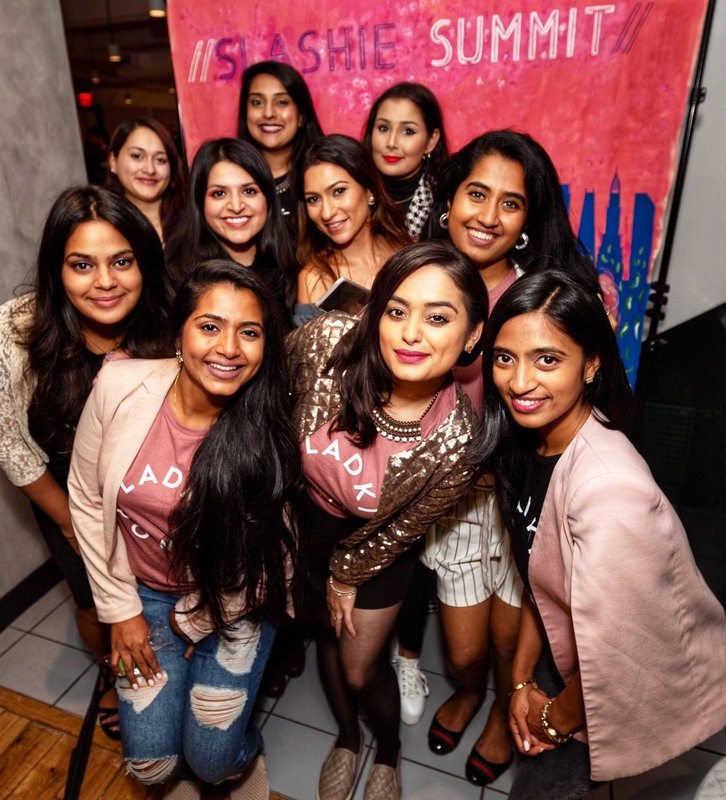 Patriarchy has been so deeply embedded in the South Asian mindset that despite the push forward, there are still many mindsets that hold us back. Makhdoom is a woman who has not been left untouched by her husband’s mistakes, but what she has shown is an incredible amount of strength since the feud, for both herself and her daughter. A woman’s strength lies in her independence, in her ability to move forward and fight for her rights, and it is with these weapons in hand the very traditions that threaten to burn us, will be broken. 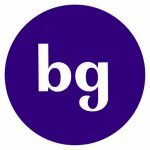 Jaspreet Singh is a photographer and writer who is always looking for the next challenge and adventure. When she’s not chasing her wanderlust addiction or taking pictures, she is studying politics and international conflict in the hopes of working in security and defence one day. Currently residing in London, but always an NC girl at heart, she loves a good plate of chaat or English breakfast as much as Southern-style biscuits!